Butchers Variety Packs are complete foods for dogs of all ages and breeds. The wholesome and delicious foods are nutritionally balanced, with a blend of rich proteins- provided by the fresh cuts of meat- fortified vitamins and balanced fats for an all-round diet of essentials. Butchers foods contain no wheat gluten, soya or artificial ingredients and their Variety Packs contain 3 nutritious and palatable variety diets to add diversity to every meal. 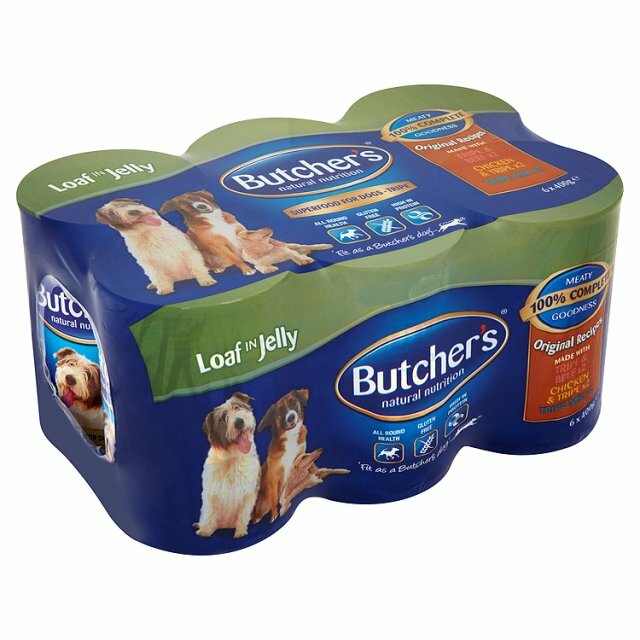 There are currently no questions for Butchers Variety Packs Dog Food - be the first to ask one!